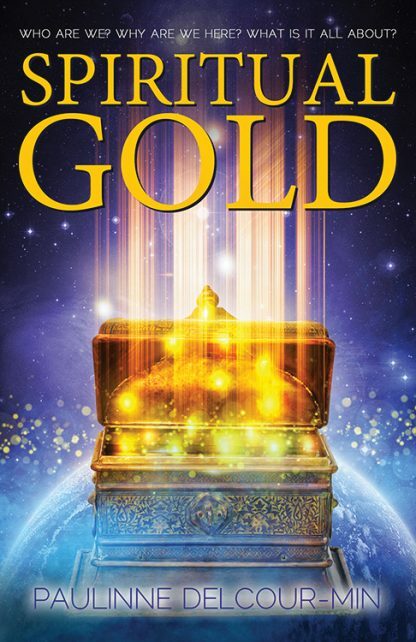 Spiritual Gold is a wonderful book about past lives. It shares the treasures of a soul�s journey through time and introduces us to angels and inner guides. The past life memories in the book have been retrieved through regression and stretch back over 10,000 years. They include hearing Jesus speak, and reveal his lost teachings of reincarnation; they take us to other worlds and unravel the secret of the Sphinx. But understanding the past brings a warning about our future. The years we are living through now form a pivotal point in time. Our choices could bring us to a Golden Age � or a great catastrophe. Spiritual Gold helps us step into our power. It may be a book about past lives, but its eyes are firmly on the future. We can make a difference to how things turn out. We can forge our destiny. Paulinne Delcour-Min is a regression therapist, artist and teacher. Over the years she has helped many people review and learn from their past lives in order to benefit their present one. Her passion for understanding her own previous life times has led to an extraordinary journey which she shares with us through her books. After raising her family, she now lives by the sea in the North East of England with her husband, who is also a writer and therapist.